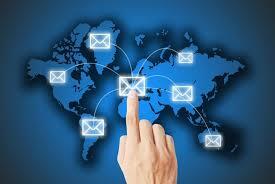 Outsourcing is the process of providing the Business Service to the Clients under a Contract. The Business Service can be HR, Payroll, BPO, Development and so on. Outsourcing Companies in India helps numerous Organizations to concentrate more on the Core functionalities by taking the responsibilities over Non-core Functionalities of the Business. By Outsourcing HR Functionalities of a Business, HR Outsourcing Services take care about Recruiting and Training the Employees. Some Outsourcing companies take care of an Organization’s HR Software, i.e. managing the Complete Human Resources activities of an Organization. Here, HR Software is application software which holds the details about the employees as well as an Organization. This is a secured application which has Calendar to maintain the Leaves and Holidays, Employee details, leave applications, Project details and so on. By Outsourcing the Payroll tasks of a Business, Payroll Outsourcing Companies in India upholds the complicated Payroll Scenarios of an Organization. They also take care of Payroll taxes, Pay slip and other Payroll requirements of an Organization. The Advent of Business Process Outsourcing Companies in India, helps Product based Organizations to increase its revenue as BPO sector handles the secondary functionalities of an Organization. 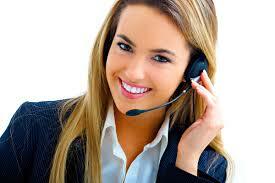 BPO Companies works 24*7 with the support of highly qualified professionals. They work for the Shift basis based on their Client’s availability. BPO Sector in India administer abroad projects as the US and UK firm are impassive over Indian professionals. The Larger organizations accompany Follow the Sun technique, in which the critical issues are forwarded to the other Branch (Native or Abroad) of an Organization, when the Work timings are exceeded. Here, The Issue can be classified into Critical Issue, Major Issue and Minor Issue. Minor is a small kind of Software issue, which doesn’t lead to Software failure. This can be rectified in a day or two, Whereas Major issue leads to recoverable Software failure. In case of Critical Issue, It needs High priority of resolution as it will lead to System failure. With the Premium support strategy, Tech support team concentrates more on the Critical issue. All these Issues and Customer calls are stored in the Call Monitoring System. The Issue status will be closed at once the issue is resolved. As soon as the Issue is closed, The Customers are asked to provide the Feedback about the Service, which acts as an encouraging factor for the Tech support team. The Issues stored in the Call Monitoring Software will be reviewed for Future references.